As the competition for Steam starts to tighten, developers have yet again chosen to publish games on Epic Games Store and skip Steam. This is mostly due to the fact that Steam offers a 70% cut of the sales of video games to developers, whereas Epic Games offers 88% of the sales to its game developers. This time, 4A games is releasing their much-awaited game Metro Exodus on Epic Games Store. Metro Exodus will be released on 15 February on PS4, Xbox One and Windows. A huge number of developers share the opinion that Steam's cut of 70% is not deserved. Metro Exodus will, however, release on Steam but that will only happen one year from now, in 2020. Weirdly enough you can still pre-order the game on Steam. Who would pre-order a game that they could get in half a month on a platform that will release it one year from now? But the better cut from Epic Games Store also dropped the price of the game. Metro Exodus will now cost $50 on the Epic Games Store, whereas on Steam it is still $59.99. Valve has called this move "unfair" in a recent post on their Steam page. 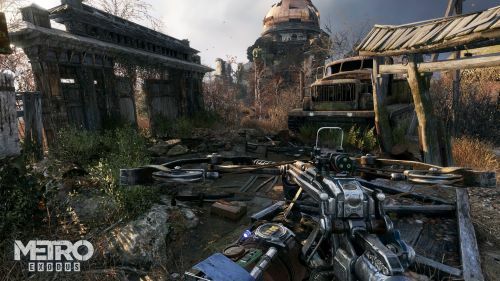 The decision to exclusively sell Metro Exodus on Epic Games Store came much to the dismay of many gamers. Should I get Metro Exodus? Metro Exodus definitely has the AAA quality of games. It is a survival horror and stealth game set in a post-apocalyptic Russia in 2036 after a devastating nuclear war. It is a little similar to Fallout theme-wise, but it does not feature the character traits and decision making with NPCs. Check out the trailer for the game to get an idea of what it is like. The game was initially announced in E3 2018.